Want Your Business to Become a Work of Art? Mile for mile, the City of West Hollywood has one of the most robust public art programs in the country. The City’s Art and Cultural Affairs Commission is pleased to encourage public art projects at commercial properties. Murals can draw attention to or serve as a landmark for your business, provide an opportunity for an artist, and serve as a way of beautifying the public realm. 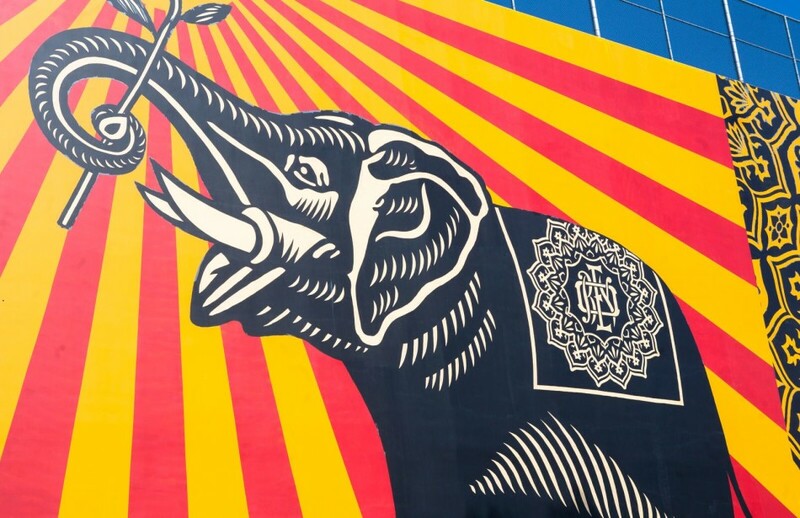 Graffiti artist RISK produced the vibrant mural “Beautifully Destroyed” on Woven Accents earlier this year and continues to be a source of inspiration for the design district community. Noteworthy artist RETNA created a mural on Craig’s Restaurant which made Racked LA’s “LA’s 11 Most Instagram-Worthy Street Art Spots” in January. Mural works and other exterior art that are proposed as public art works need to be reviewed by the Arts and Cultural Affairs Commision before installation takes place. For more information about this opportunity, visit http://bit.ly/wehocommercialmurals.